The Vice President, Shri M. Venkaiah Naidu addressing the Ahimsa Diwas Samaroh organised on the occasion of 13th Foundation Day of Ahimsa Vishwa Bharti, in New Delhi on November 12, 2017. New Delhi: The Vice President of India, Shri M. Venkaiah Naidu has said that nonviolence is the path to which a healthy society can be created. He was addressing the Ahimsa Diwas Function organized by Ahimsa Vishwa Bharti on its 13th Foundation Day, in New Delhi today. The Founder of Ahimsa Vishwa Bharti, Acharya Dr. Lokesh Muni and other dignitaries were present on the occasion. 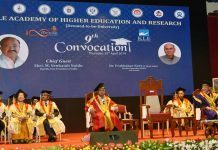 The Vice President said that establishing nonviolence, peace and goodwill in society, nation and all over the world has been the purpose behind the establishment of Vishwa Bharti Institute. He further said that by associating religion with social service, we can make it a means of eradicating social evils and linking religion to spirituality. The Vice Presidnet said that there is a need for peace and a harmonious environment in the society for development. He further said that nonviolence is also important because violence does not solve any problem and violence leads to repetition of violence. Through dialogue, every problem can be solved through nonviolent style, by negotiation, he added. The Vice President said that many great men in our country like Lord Mahavir, Lord Buddha gave a lot of emphasis on nonviolence. He further said that Mahatma Gandhi had liberated India with the weapons of nonviolence. Nonviolence does not mean cowardice, he added. The Vice President said that Indian culture is pluralistic and unity in diversity is its fundamental characteristic. Sarvadharm harmony is its original mantra and this is where the nonviolence, peace and goodwill start, he added. 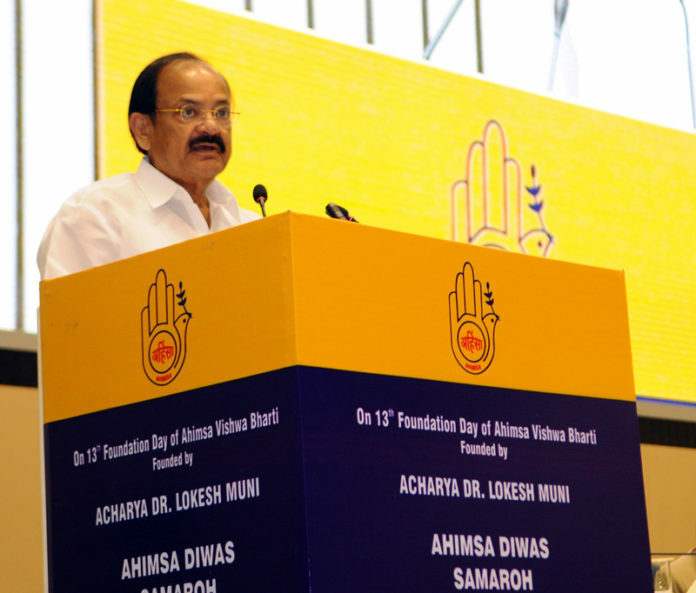 The Vice President expressed his hope that the Ahimsa Vishva Bharti Institution will play an important role in building society and nation building by connecting the work of service in the society, especially by connecting the younger generation to the path of nonviolence.